So, I’ve created the perfect recipe for a virtuous start to the month. Packed full of superfoods, healthy oils, vitamins, minerals and so many other good things it should probably be knighted, this dish promises… Och, it promises nothing. I just fancied sharing it. Pre-heat the oven to 180 degrees C. Lightly oil sheets of foil, season the salmon with salt and pepper, dot lightly with butter and wrap in the foil to make parcels. Place in the oven for around 12 minutes. Meanwhile, cut the broccoli into even-sized floets and steam for four to five minutes. Puree the avocado with the juice of the lemon, the garlic cloves, parsley and a little salt and pepper. Mix with the steamed broccoli. 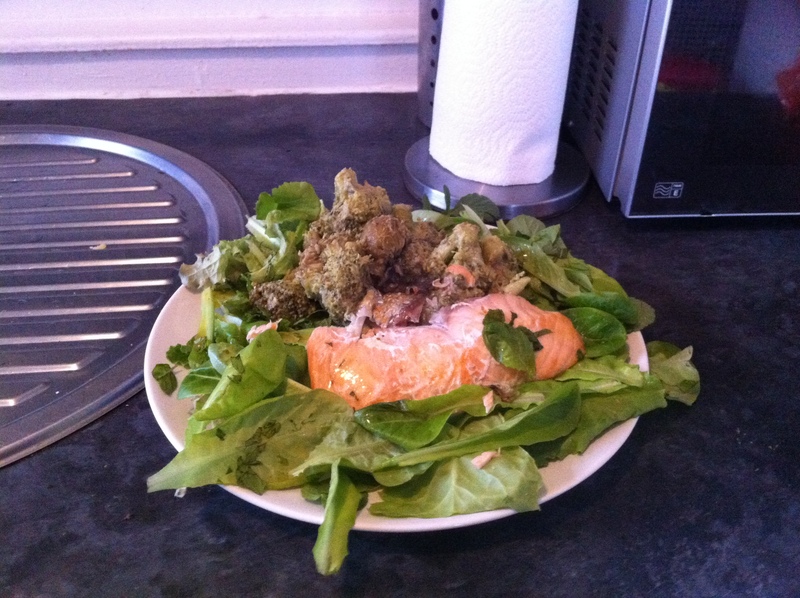 Serve the broccoli with the salmon and some salad leaves on the side.